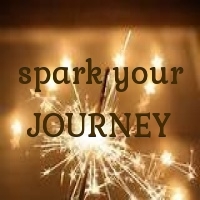 Together let’s spark your JOURNEY! I think he says it beautifully. The paths that are well trodden were already forged once, and those who follow them generally feel an emptiness and longing they cannot describe. Their eyes do not glow as brightly. with a universal, symbiotic symphony. By celebrating your path, you are honoring your reason for being. You are enriching all of our lives, as we meet, part, and meet again. You are allowing yourself to BE, which is your purpose. The ego will construct a life for us, a personality, a paycheck, a way of life and the people in it. The soul will burn all of those things to the ground so that you can be free from the limitations and constrains you have placed on yourself. Your path is yours alone but since we are all the same person, we all benefit from your truth. Do not grieve that there is “no one” with whom to share your truth. When you self actualize truths, they energetically emanate from you and effect all of us. no matter how many boxes you do not fit into. After all, you are a pioneer. who can show us your perspective; your truths. Relish in this and do not rob us of growth.